Ever fancied making afternoon tea, Hope and Greenwood style? Well, now you can with out fantastic new giveaway! 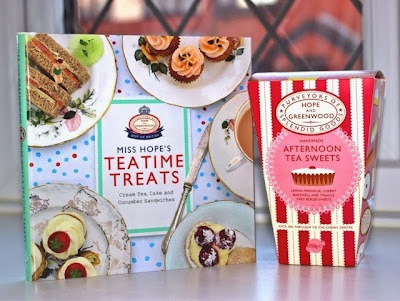 Packed with enough treats to satisfy even the sweetest tooth, this fantastic recipe book has everything you'll need to create the perfect tea party. 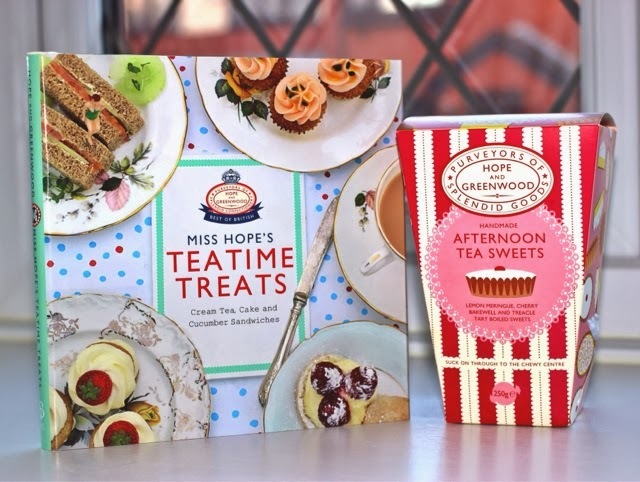 Covering everything from finger sandwiches to afternoon tea etiquette, Miss Hope will soon have you baking like a pro and teaching your friends a thing or two about the wonderful world of afternoon tea. To be in with a chance of winning this fantastic giveaway, simply follow the Rafflecopter instructions below. Terms and Conditions: Open to UK residents only. Only one entry per person. Competition will close at midday on 31/01/2014. The winner will be chosen and announced on 1/02/2014. 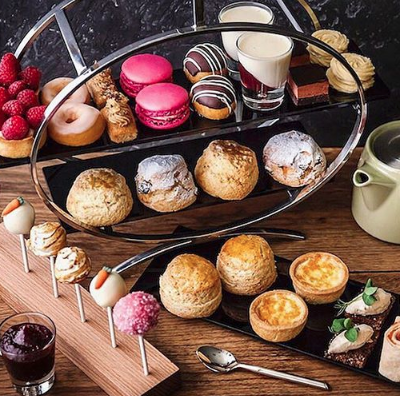 The Afternoon Tea Club's decision is final and no correspondence will be entered into. There will be no cash alternative. Winner will be notified via email. By entering the competition the winner agrees to participate in such promotional activity on our website and Twitter. No responsibility can be taken for any entries which are not received for any reason. Im obsessed with shortbread, plain, vanilla, choc chip, you name it I love it... imagine shortbread sweets?! mmm! Definitely a good scone - I'm partial to blueberry scones at the moment. Also, anything with lemon! Victoria sponge cake Homemade with lashings of strawberry jam.. I love petit fours - mini battenburgs, brownies, chocolate marzipans.. yum. Tough question! Millionaire shortbread I think....or scones! Chocolate brownies or Millionaire shortcake, love a tray bake. It has to be clotted cream with fresh scones! A proper Cornish tea would be my perfect afternoon tea bake. A nice slice of Victoria sandwich. Mines not a bake, but I don't think afternoon tea is the same without a good cucumber sandwich. Traditional scones and jam preserve, with savoury cheese scones with a homemade chutney! scones, clotted cream and jam! Definitely old fashioned English Tea with scones and clotted cream. Maybe a few macaroons, cheesecake, with lots of yummy sandwiches, esp egg mayo! Simple but so delish! Welsh cakes with Welsh butter, heavenly. it has to be WARM fruit scones, with clotted cream and jam. delicious with tea in front of a real fire..! Scones with cream first, then jam - the Devon way! Scones with jam and clotted cream. Wow, what a tough question!! I adore fresh schones with clotted cream and jam, but also a gorgeous freshly baked slice of Victoria Sponge cake! A slice of Victoria sponge with fresh cream and English strawberries, along with a cup of tea. Definitely scones with jam and cream! I make a gorgeous 'boozy' brownie which doesn't have any actual alcohol in it but has amarretti biscuits instead. I'm dairy free so make it with dark choc and its LUSH! Meringues with lots of cream!